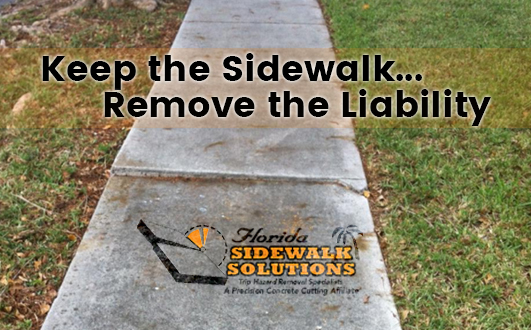 Don’t get stuck with a liability case because, instead of paying for an uneven sidewalk repair service, you left a fall and trip hazard unattended. 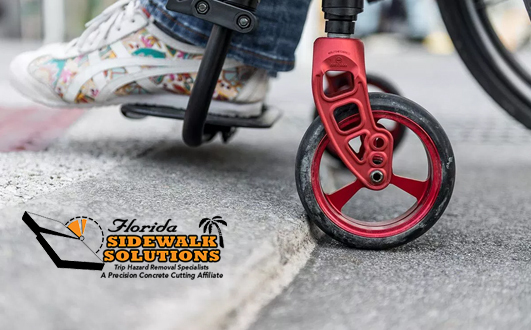 Hiring concrete sidewalk contractors to repair walkways or to perform a trip hazard removal is not only more affordable than you probably think, it could potentially save you thousands in the event someone files a lawsuit for damages. 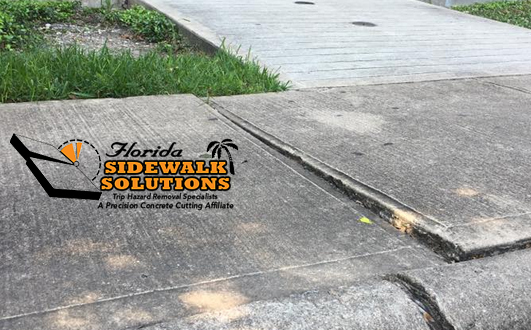 Florida Sidewalk Solutions provides exactly this type of affordable trip hazard removal service to help fix uneven concrete sidewalks before a potential injury becomes a serious issue. 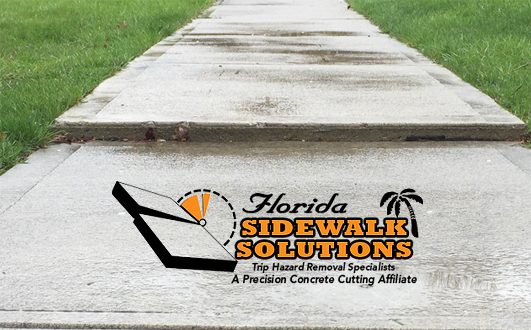 Continue reading to learn more about how our fall and trip hazard removal specialists fix and restore uneven concrete walkways through the process of precision concrete cutting. 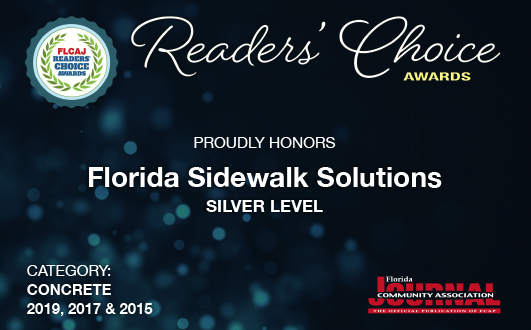 Concrete sidewalk contractors who perform sidewalk repairs have a few options for total sidewalk restoration. 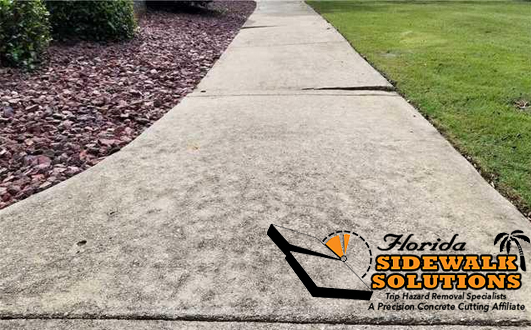 The process of cutting concrete sidewalks is well known to be the most efficient method when performing fall and trip hazard removals because of its varying advantages. 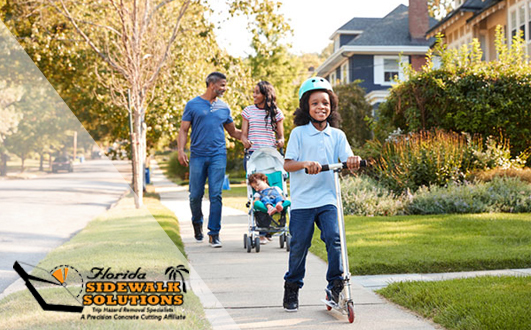 Since sidewalk repair companies and concrete sidewalk contractors were first introduced to the now patented precision concrete cutting process, horizontal saw-cutting technology has become a trending interest among most sidewalk and concrete industry professionals. This is especially true for those concerned with transforming a trip hazard into an ADA compliant walkway without total removal or replacement. The concrete offset where the fall and trip hazard is located. 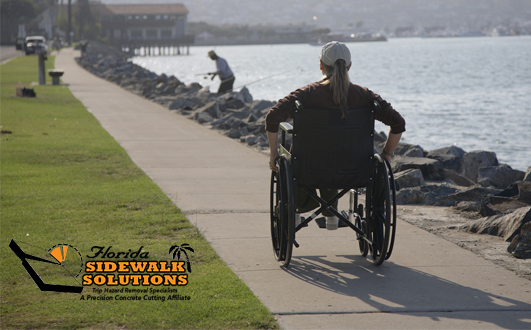 Every panel on the concrete sidewalk is accurately measured for ADA compliance (slope of 1:12). A trip hazard removal specialist will determine the most appropriate place to begin cutting. Individual panels are raised or tapered from edge to edge to a zero point differential settlement. The concrete sidewalk is restored into a completely level uniformly non-slip surface. All waste and debris is collected to then be recycled for minimum environmental impact. 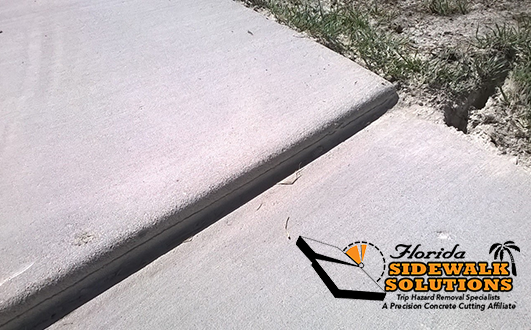 This option is both more affordable and convenient for removing trip hazards from concrete walkways. 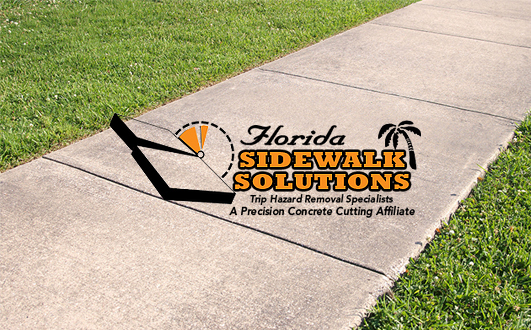 In summary, a sidewalk restoration service that uses concrete cutting for trip hazard removal is an efficient alternative to hiring concrete sidewalk contractors who perform concrete grinding. 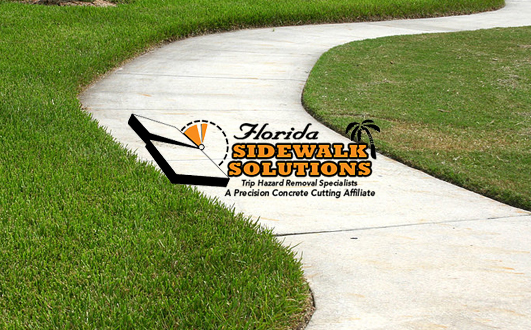 Florida Sidewalk Solutions is a team of professional concrete sidewalk contractors who specialize in fall and trip hazard removals. Our business offices are located in Davie, FL and we provide our services throughout the majority of the South Florida area. We are passionate about what we do and share a collaborative commitment to excellence that extends into both our attention to detail on projects and providing exceptional customer service. In fact, to ensure our customers are always satisfied with the finished results, we even offer a 100% guarantee to each of our clients. 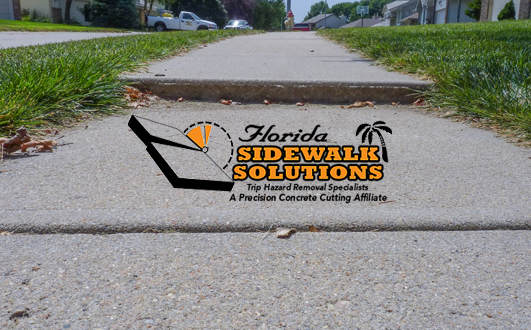 If you or your business is interested in learning more about the benefits of concrete cutting for sidewalk restoration, contact us for further assistance. 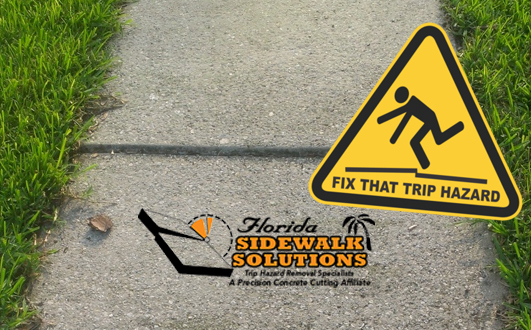 To receive a free estimate on the cost of concrete sidewalk trip hazard repair service, call 954-514-7218.